Because I cannot discern your motives and motivations right now. Or what you're even doing with your life. 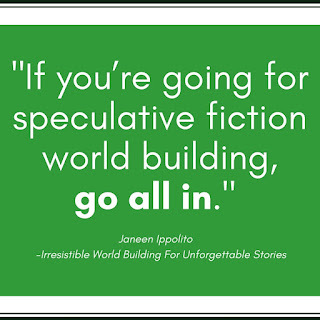 In Irresistible World Building, Ippolito focuses on how each author's worldview and unique perspective, the characters they've created and their specific narrative style plus genre expectations, all need to contribute to the creation of a world and a story that is unforgettable. 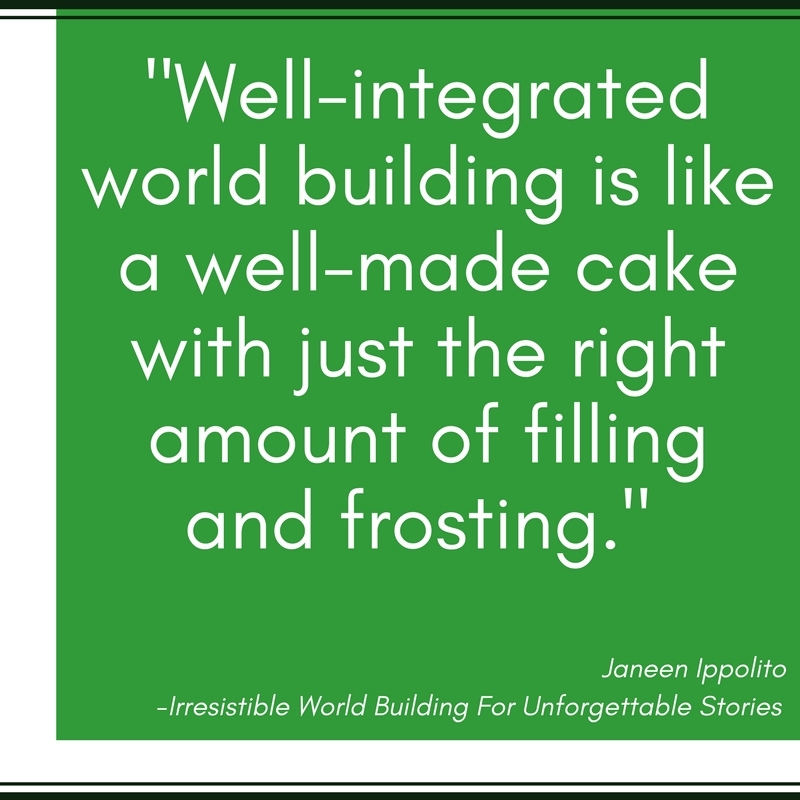 She reminds us that a world is not built in a vacuum--what the author believes in and has experienced is often the best way to connect with intended readers. 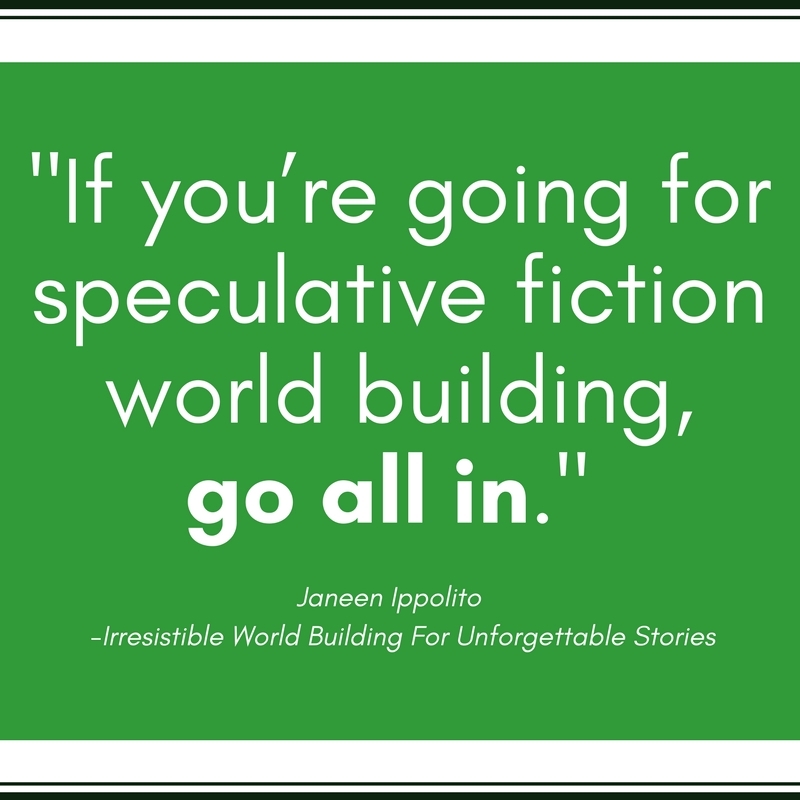 She suggests that using this perspective as a core base--not to push an agenda or belief--tied in with the theme of the story is the best jumping point to create a world that stands out and is beloved by readers. 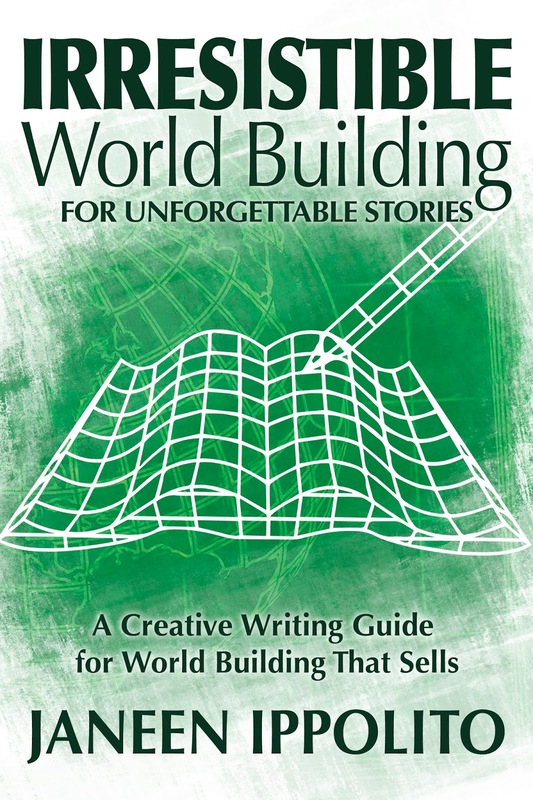 Where Loper's The A-Zs of Worldbuilding: Building a Fictional World from Scratch focuses on the nitty-gritty, micro process of world building, looking at all the aspects that should be covered (or at least considered), Irresistible World Building For Unforgettable Stories: A Creative Writing Guide For World Building That Sells focuses on the larger, thematic overview of building a world, emphasising the passion and goals of the authors themselves. 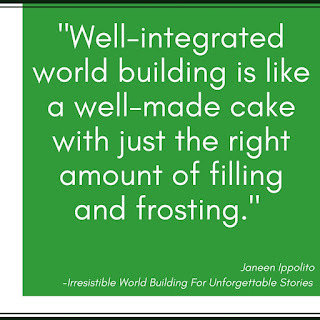 Ippolito also has a book & workbook, World-Building From the Inside Out, which likely deals with the micro stuff, but I haven't read that one yet. Okay, just for one day, let's talk politics. I don't like talking about politics because it tends to be highly controversial and I don't like conflict. Also, everyone has a right to their opinions, even if it means I'm going to privately judge you forever. It's okay, you guys can privately judge me forever too. You know, just privately in our heads, and not on social media or something like that. I really should be getting some work done right now, but whatever. This last Malaysian General Election has been a wild ride, full of gerrymandering, fake news, immense Whatsapp spam, and a gazillion ads. Even now, after everything has been counted, the swearing in of the new government is being delayed and there are parties shifting allegiances. I'm a sceptic at heart. I don't believe in too good to be true scenarios and I have a tough time believing in miracles. Yay, people, the nation voted in change... but it's not going to be all peachy, okay? And with this kind of history... you never know what's actually going to happen. So yes, we rejoice (temporarily) and also worry (temporarily) but once this kerfuffle has died down and the mess that is democracy starts to settle, I guess we'll see. P/S this is why you need the arts. More funding and recognition for writers, please? Not So Stories has been one of my most anticipated reads ever since Zedeck Siew announced that he was part of the lineup. I was about to bite the bullet and buy the book when I managed to score a review copy, so YAY! Not So Stories was compiled as a response to Rudyard Kipling's Just So Stories, which Nikesh Shukla describes in his foreword as "steeped in colonial nostalgia." I don't recall if I've specifically read Just So Stories (which I've recently found on Project Gutenberg) but if it's in the same vein as other Kipling books I've read, I get what he means. Not So Stories tries to recreate a new collection of animal tales from multicultural, multiethnic lenses, "confronting readers with the real harm colonialism did and taking the Just So Stories back." I cannot meaningfully compare the two right now but I will say that this book both succeeds and fails in its intent. It succeeds because this wonderful collection of short stories does offer a multitude of unique voices, some of which I can personally identify with as a Southeast Asian, and some of which I can recognise and understand as stories from other cultures, none of which revert to the standard white male Christian point of view that I grew up with as an Anglophilic Chinese-Malaysian. Yet, where it fails is in its target audience--although the anthology is purported to be for children, one story has sexual elements unsuitable for younger readers and at least two others have themes that would probably only appeal to adults. Maybe if it had been targetted for "adults who grew up reading the original as children," it would have succeeded on all counts. Now on to the stories! Overall, I'd say that each individual story in Not So Stories is great on its own (except the ants. What was with the ants?) but the problem is that not all of them fit together quite well in the same book. Where I was expecting a fantastic collection of animal tales for children (or at least tales related to animals), some stories veered off into the paranormal and the mythical, and some into very adult mindsets/settings. I was going to post this for Music Monday, but didn't. Still. A song for today. 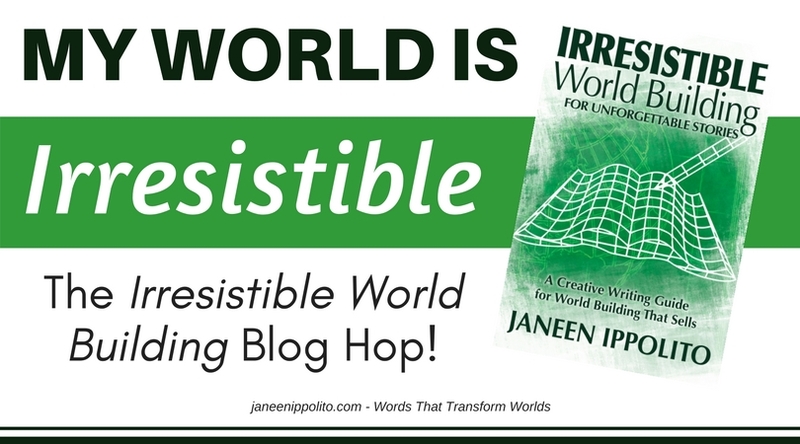 Welcome to Janeen Ippolito's The Irresistible World Building Blog Hop! 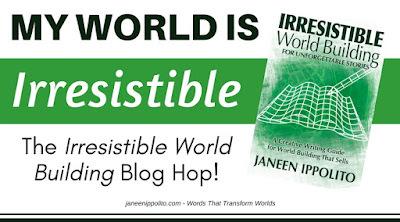 That's when we hop around various blogs that are all talking about the same thing: Irresistible World Building. What's that you say? 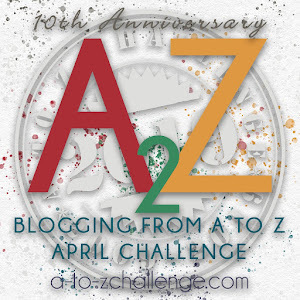 Janeen Ippolito is two authors for the price of one! 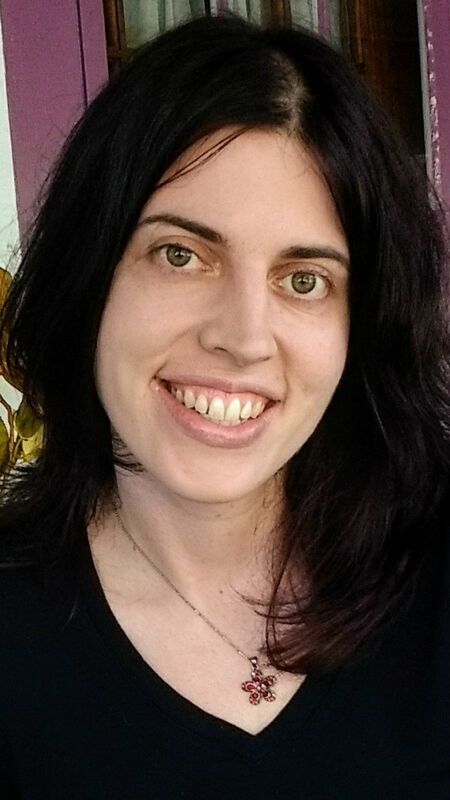 She creates writing resources and writes urban fantasy and steampunk. She's also an experienced teacher, editor, author coach, and the editor in chief of Uncommon Universes Press. In her spare time, she enjoys sword-fighting, reading, food, and making brownie batter. She believes that words transform worlds and that everyone has the ability to tell their story. Two of her goals are eating fried tarantulas and traveling to Antarctica. Frost is really a quick read. The compilation consists of 6 brand-new short stories that explore various aspects of life in QaiMaj, along with a short commentary from Tay-Song, followed by a preview of Dream of a Vast Blue Cavern, the first in the Dreams of QaiMaj series, plus appendices -- which is a bonus if you haven't read that one yet or you're wondering if you should invest your time in it. Dreamer -- I liked this one. It's a charming piece about Stasia as a child and how Glace was assigned as her guard, but didn't really give me any new insights. Guildless -- This is a gripping story of betrayal; I vaguely remember Norle from the books, but don't think much of his background is revealed there (I could have just forgotten), so this was interesting both as an origin story as well as insight into how the guilds work. Warrior -- oh, Larc. Ingenuity and self-discovery is the core of this one. And also, misplaced dreams. Fisher -- this is probably my favourite of the six. It explores the relationship and dynamics between the humans and the Icers. It's at once immensely down-to-earth, telling you how to fish, whilst being philosophical, as Katu ponders on Icers and the mystery of perfection. Player -- I don't really know about this one. It's part origin (?) story, part ridiculousness, part economics. Liked the theatrics, meh about the story itself, I guess. Or maybe I just never really personally cared too much for/about Casser. Overall, not a bad read. I'd say a good primer for those who are considering getting into the series, and maybe a nice refresher for those who've already read it.